Although available throughout the year, white Marlin (Kajikia albida) is mostly found off Sosua`s waters March through June. It is found in the epipelagic zone between latitudes of 45° N and 45° S in waters deeper than 100 meters. They tend to stay near the surface, and prefer warm surface temperatures greater than 22 °C; The largest ever caught reportedly weighted over 82 kg (180.8 lb ). Live bait is an option, though most captains in DR prefer rigged bait of dead ballyhoo wrapped in a lure. The use of spreads and outriggers are a must, and as with other big fish, the line must be kept under pressure and angle the rod 15 degrees before cranking a full rotation on the reel. 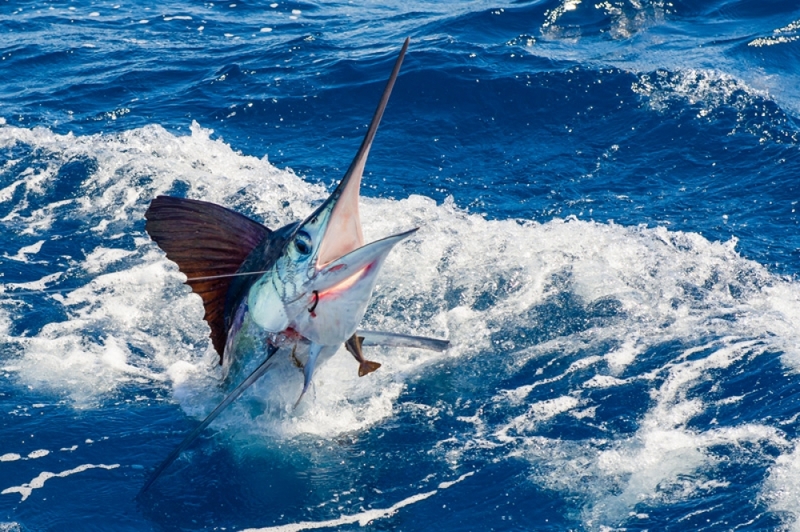 Penn published a quick Marlin fishing guide with 5 simple steps, we recommend it. Blue Marlin (Makaira Nigricans) are migratory fish found in the upper water zones where they can find thriving prey populations to feed from. They are among the fastest, and biggest fish in the ocean, weighing up to 2,000 pounds and reaching up to 14 feet in size ( 4.3 meters ). They usually feed at the surface where the water is warm, and sometimes they attack at deeper depths where schooling mackerel is stunned at full speed using their powerful bill. 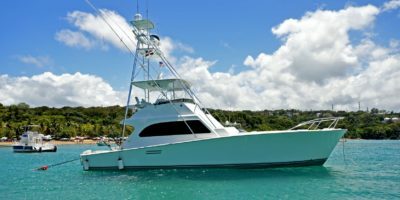 Sosua fishing charters are available every day, visit the link below for details on season, available yacht and to reserve a tour. Types of billfish, by the billfish foundation. 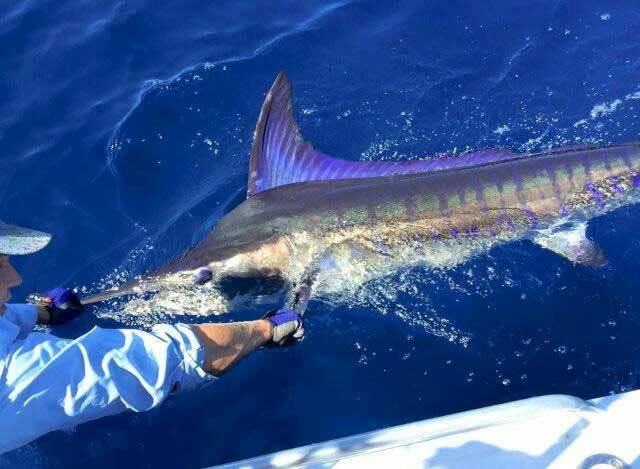 Blue Marlin fishing tips – by Sosua Fishing Tours.